Wow, marrying your childhood sweetheart is no wonder a dream come true. Most of all, sticking together for more than four decades in a relationship is out of our imagination. 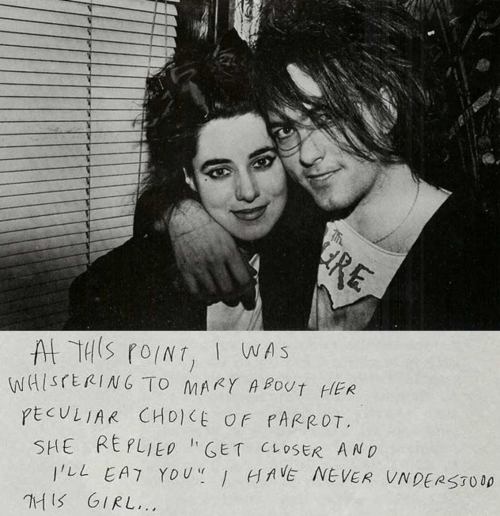 Robert Smith and Mary Poole ditched all the theories where we think celebrity couples relationship do not last long. Nowadays, a relationship is taken as the least priority thing and proving this wrong, they have set an example of how you love your partner. The lead singer, guitarist, lyricist and principal songwriter of the rock band The Cure, Robert is well known for his unique stage look and distinctive voice. Scroll down to know about Robert Smith' married life, personal life, and professional career. It's amazing and lovely to see how Robert Smith and Mary Poole is maintaining a blissful married life without any divorce rumors. To begin; Smith first met Mary Pole in school when he was only fourteen years old. They first met in drama class at St Wilfrid. Robert explained that during their first meet, he was asked to choose partners for an activity. At that time he gathered his courage to ask Mary and as he reveals he got lucky cause she said YES. Robert count himself as a lucky person to have Mary in his life. They have been together since that time and eventually started dating. 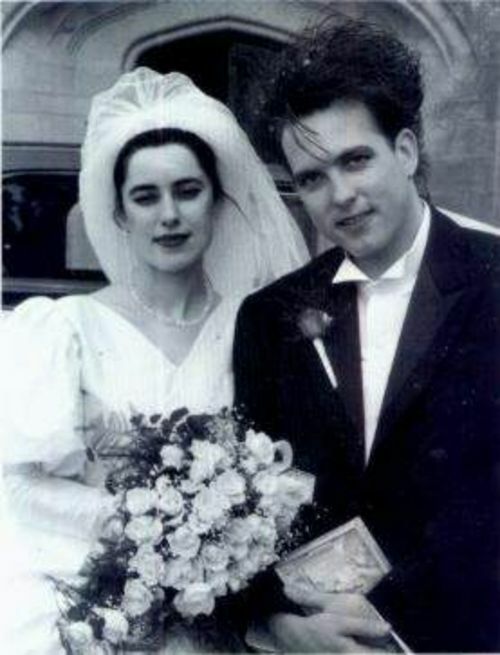 After dating for a couple of years, Robert Smith married Mary Poole in a private wedding ceremony in 1988. You May Be Interested: Charles Krauthammer and wife Robyn Krauthammer were married for more than 40 years; Their Children? Robert even wrote the song Love Song as a present for Mary. Ain't that cute? For now, it has been over three decades of their marriage and is still enjoying a healthy married life. Till the date, the couple has not shared any news of welcoming children. They took the decision early in their marriage that they don't want kids. Also Read: Woow, Wooww, Woow Goldie Hawn, 70, and Kurt Russell, 64 finally getting married. Happy? During Robert Smith' early music career, Mary Poole always supported him and thinks that his wife's support was one of the motivating factors to his band successful journey. Mary used to be a model and also worked as a nurse helping disabled children as reported by Daily Express. Due to their busy schedule, the couple didn't have much time to spend together in the early stage of their career. But when Smith was popular through his music and when they were financially stable, Mary then left her day job so that the couple doesn't have to spend so much time apart. Everything goes well when you are an understanding husband and wife couple. Robert even claimed that he and his wife, Mary share the same mental thinking. This might be the reason behind their healthy and stable relationship. Matthew Gray Gubler rumored to have dated Taylor Swift in the past but who is his girlfriend now?